Welcome to Post-weekend Poetry and the thirty-fourth poem in this series. This week’s piece is by poet, non-fiction author, novelist and interviewee Maggie Ball. This was part of a triple set of poems written for a friend who was going through a serious depression. Here, played against a game of chess. The Black Dog (no relation to Black Cow!) is a reference to Churchill’s Black Dog – that is, depression. The poem is from my full-length collection Repulsion Thrust. That was really touching, thank you Maggie. Magdalena Ball runs The Compulsive Reader. She is the author of the poetry books Repulsion Thrust and Quark Soup, the novels Black Cow and Sleep Before Evening, a non-fiction book The Art of Assessment, and, in collaboration with Carolyn Howard-Johnson, Deeper Into the Pond, Blooming Red, Cherished Pulse, She Wore Emerald Then, and Imagining the Future. She also runs a radio show, The Compulsive Reader Talks. 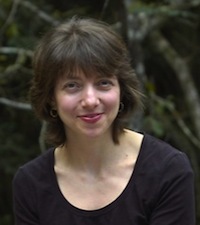 Find out more about Magdalena (Maggie) at http://www.magdalenaball.com. The blog interviews will return as normal tomorrow… romance / erotica author and editor Sue Swift aka Suz deMello returns, wearing her editor’s hat– the four hundred and sixty-first of my blog interviews with novelists, poets, short story authors, bloggers, biographers, agents, publishers and more. A list of interviewees (blogged and scheduled) can be found here. If you like what you read, please do go and investigate further. And I enjoy hearing from readers of my blog; do either leave a comment on the relevant interview (the interviewees love to hear from you too!) and / or email me. Thanks for publishing my poem Morgen – your post-weekend poetry is wonderful.